Air conditioners provide essential cool air during hot weather and are extremely important in homes with elderly or sick residents. Troubleshooting your Amana air conditioner helps you determine whether the problem requires the attention of a technician or if you can repair the appliance yourself. 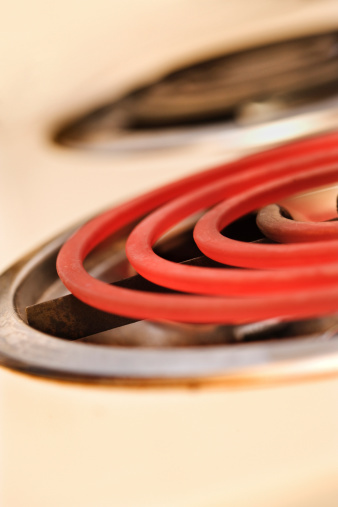 The most common problems involve the electricity supply, controls or location of the appliance within your home. 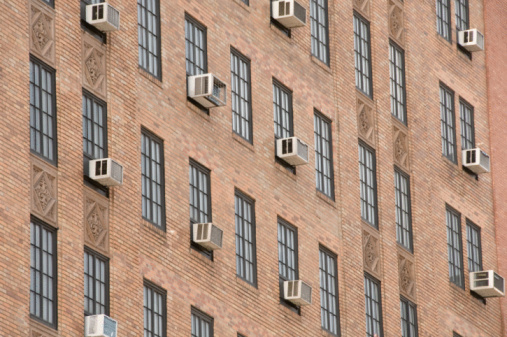 Solving these problems helps return your air conditioner to normal service. Air conditioners are widely used in areas with high summer temperatures. Adjust the air conditioner's controls, as they might be incorrectly set. Touching the "Smart Cool," "Low Fan," "Medium Fan," "High Fan" or "Energy Saver" button activates the air conditioner. Tapping the "Up" and "Down" arrows adjusts the air conditioner's target temperature. Ensure the target temperature is low enough for your needs. Follow the power cord to the electrical outlet, disconnecting any extension cords. Plug the cord directly into an outlet and switch on the power. Extension cords and multi-plug adapters interfere with the appliance and might not have a high enough rating for the air conditioner's electrical demands. Check your home's circuit breakers if the air conditioner's outlet isn't providing electricity; there may be a tripped circuit breaker or fuse. Most circuit breakers or fuses protect more than one outlet from power surges or electric faults and you might notice more than one appliance stops working. Reset the breaker or replace the fuse and try again. Run the air conditioner for three or four minutes if cooling initially appears insufficient; the compressor takes a few minutes to reach its full operating capacity. Make sure nothing is blocking the grille on the front of the appliance while you wait. Air must circulate away from the air conditioner once it is expelled for best results. Move any chairs, cupboards or other furniture to another location. Slide the large plastic grille to the left until it disconnects and pull it off the air conditioner. Slide the air filter to the left, removing it from the appliance. Wipe down the air conditioner with a soft, damp cloth to remove all traces of dust and dirt, then dry it off. Slide the filter back into the air conditioner, followed by the plastic grille.